Two men in England photographed each other stealing thousands of dollars from gambling machines. An armed man successfully robbed a pharmacy and was captured after he boasted about it on social media. A burglar spent some time cleaning the house he was robbing, and even restocked some groceries, before he was discovered fast asleep in the homeowner’s bed. (“He did burn an old saucepan, but that happens!” reported the homeowner.) Two drunken louts stole a penguin from an aquarium and tried to release him into a canal when they were sober (he was returned to the polar enclosure, unharmed). Another man attempted to hold up a bank using a cucumber as a weapon. Two fellows tried to rob a bar where the town’s police department was holding a retirement party for one of its members. For every Moriarty, there are a thousand stupid criminals who get caught in the act, or who boast about their success on social media, or whose acts are so outrageous that the police have little difficulty tracking them down. Throughout history, these criminals have been easily captured, and have sometimes even died during an ill-fated escape. New criminals are apprehended every day thanks to their own genius, their exploits captured on YouTube and Instagram. Veteran reporter Jack Kirchhoff has recorded more than one hundred of the most ridiculous, absurd and bizarre crimes that have landed on the police blotter in recent years. Hilarious and outrageous, this book will make you shake your head and perhaps second-guess your own plans to commit petty larceny. 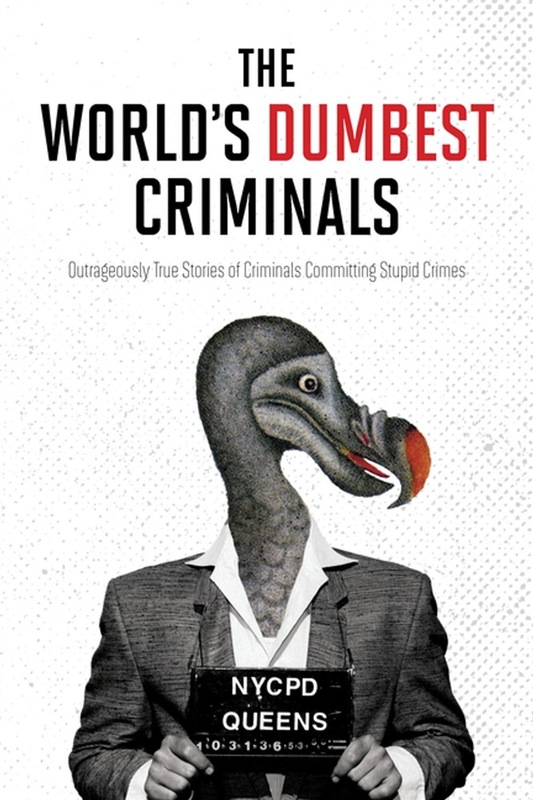 Acquista The World's Dumbest Criminals in Epub: dopo aver letto l’ebook The World's Dumbest Criminals di Jack Kirchhoff ti invitiamo a lasciarci una Recensione qui sotto: sarà utile agli utenti che non abbiano ancora letto questo libro e che vogliano avere delle opinioni altrui. L’opinione su di un libro è molto soggettiva e per questo leggere eventuali recensioni negative non ci dovrà frenare dall’acquisto, anzi dovrà spingerci ad acquistare il libro in fretta per poter dire la nostra ed eventualmente smentire quanto commentato da altri, contribuendo ad arricchire più possibile i commenti e dare sempre più spunti di confronto al pubblico online.